What better way than this I-Love-You Gold Pendant and what better occasion than Valentine's Day to make your lady love feel special. 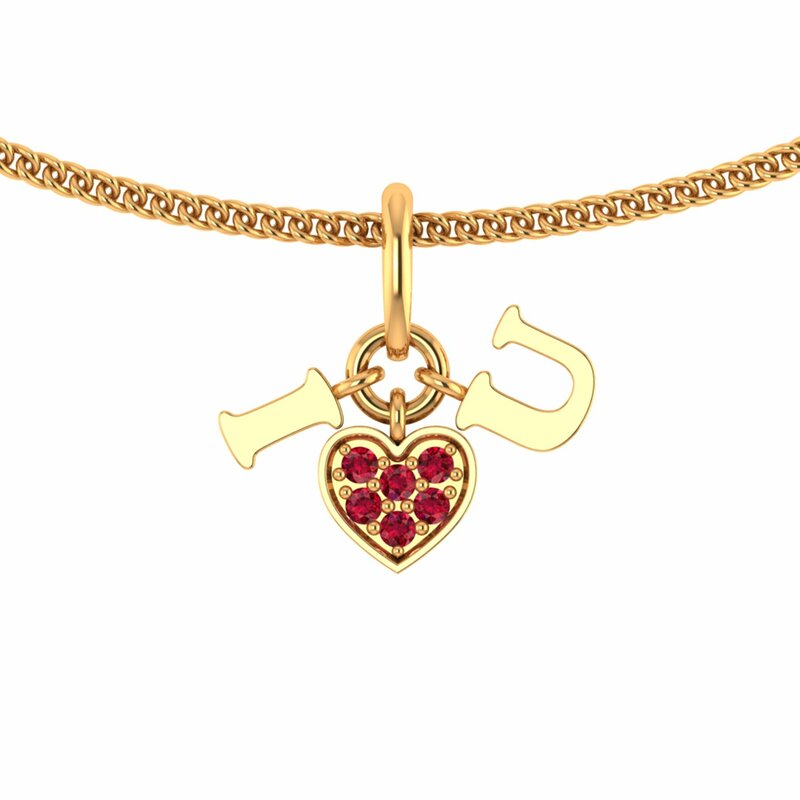 Carved in gold, embellished with red coloured stones, this light-weight pendant is truly all things love. So shop gift and make her feel loved, this love season.